Lagna is the pivot of an individual's horoscope. It indicates in brief the pattern of native's life in this birth. 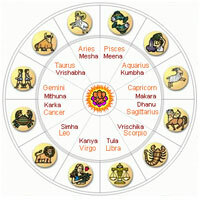 Strong Lagna and Lagna lord are invariably accompanied with benefic yogas in the horoscope. 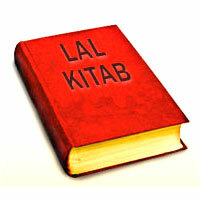 Hence a strong Lagna and its lord is a must for enjoying a healthy, wealthy and successful life. meaning, "If the lord of the lagna is very strong, without the aspect of any malefic on it and is located in any of the Kendras under the aspect of benefic planets, it confers long life, virtues and wealth." meaning, "If a planet whether natural malefic or benefic aspects the lagna identical with its own sign, that confers happiness and wealth, apart from close association with the King (State authorities). If the lagna is not owned by the aspecting planet, then the aspect of a benefic planet confers auspicious effect, while the aspect of a malefic planet produces evil result." Even one benefic aspecting the lagna is auspicious, while a malefic so aspecting is inauspicious. The Sun : The native will be valorous, hot-tempered, gains wealth from parents and serves the King (Govt.). The Moon : The native will be fortunate, courteous, sympathetic, wealthy and gain by dealing in liquid items. Mars : The native is adventurous, hot-tempered, righteous and earns from acts of bravery. He is injury prone. Mercury : makes the native quite intelligent, learned and earns thereby, is famous and honorable. Jupiter : The native is religious, learned, keeps company of virtuous, is famous and honored by the King (State). Venus : The native has youthful looks, is handsome, wealthy and favourite of ladies. Saturn : The native is troubled by heavy odds and diseases. Does more labour and earns less. He lacks happiness, is dirty, foolish and attached to elderly women. The unfavourable aspect of Hershel, pluto and Neptune proves problematic. meaning, "When in a nativity the lord of the lagna has brilliant rays (i.e., not eclimpsed), the man concerned becomes famous. When the lagna lord is well placed (i.e., in own sign, exalted, vargottam, in kendra or trikona), the native is happy and prosperous. Should it be in dussthana (6/8/12) or in the house of a malefic, or that of an enemy or be in its debilitation sign, the individual concerned will lead a miserable life and live in a despicable place, amidst outcast or vile people. When Lagna is powerful (i.e., occupied or aspected by own lord or benefics), the native is happy, thrives well, gains power and prominence, and if it is without strength, he will suffer constantly facing many calamities, remains sad and sick." 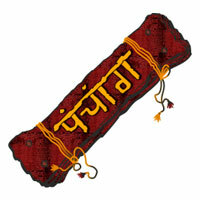 The 9th lord (Bhagyesh) is exalted in lagna and forms hans panchmahapurusha yoga. There is Buddhaaditya yoga in 4th house as well as Sasa yoga formed by Saturn in exaltation there. Yogakaraka Mars is exalted in 7th house from Ruchuka yoga and aspects lagna. The native was born in a well to do family. He was a brilliant student and completed his C.A. Examination in record time. At the beginning of Jupiter dasa he got an opening in an MNC in Dubei, and is now head of Finance Division of the Company, drawing handsome pay packet. Lagna lord Mars is debilitated and combust. Lord of 2nd and 5th Jupiter is in 12th with 9th lord Moon and afflicted by Rahu and Saturn. The 7th lord Venus is with Hershel and Pluto in 11th house. As a result, the native runs a small cloth shop and is leading an ordinary life. The features of Aries lagna stated above are present in the following horoscope of founder of an industrial empire in India. Lagna lord Mars is in Aries lagna and forms Ruchak yoga. Mars is conjoined with 4th lord moon and 5th lord Sun. The Sun is also exalted. 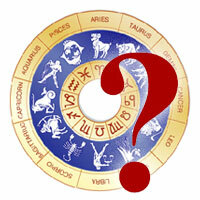 Lagna receives the support of karak planet Saturn in 10th house in own sign and also forms sasa yoga. Venus lord of 2nd and 7th house is exalted in 12th house Pisces with 9th and 12th lord Jupiter, and Ketu. These boost Lagna, Lagna lord and other planets located there, besides giving a religious and humanitarian approach. meaning, "The lord of lagna occupying the first (0° to 10°), second (11° to 20°), or third (21° to 30°), Drekkana will make the native respectively a judge, ruler or a mandala (district), or a head of a village. If this lord of lagna is with or aspected by benefics Venus, Jupiter or Mercury, or if it occupies the vargas of a benefic, or if it is exalted, then the native becomes the chief ruler of the land and he will be respected by other rulers." One such horoscope of late Shri Bansi lal, former C.M. of Haryana and Central Minister, is discussed below . 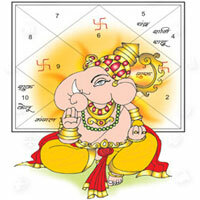 Leo lagna in shubhkartari yoga, with moon in 12th and Venus in 2nd house, makes it strong. 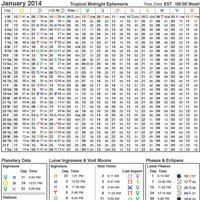 Moon in 12th is in its own sign and is aspected by Jupiter in Pisces. 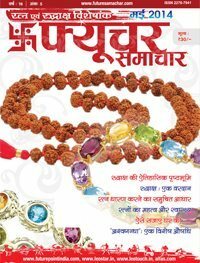 Yogakarka Mars and Mercury are in 2nd from Moon forming a powerful Sunfa yoga. Jupiter also aspects neechabhanga Venus in 2nd house in a friendly sign. 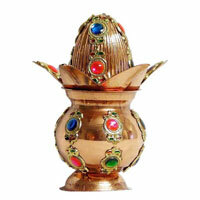 Rahu and Ketu are exalted in 11th and 5th house respectively. The native was born in a middle class family and, after completion of his studies, started his career as an advocate. The lagna lord Sun is in lagna itself with yogakarka Mars and Mercury. Lagna degree is 8° 14', while the Sun is posited at 8°56', that is in 1st Drekkana, and is expected to make the native a judge (post of high authority). He became M.L.A. in Haryana Assembly and also became Minister in State Government during 1961-67 (Sun dasa). He remained Chief Minister of Haryana in two spells during 1968-75. He was authoritative, good administrator, and is remembered as the architect, of modern industrialised Haryana. He remained Minister without portfolio at the Centre during emergency in 1975 and wielded enormous power as right hand man of Sanjay Gandhi. He remained Minister of Defence at the Centre from December, 1975 till March, 1977. His Moon dasa operated from 1967 to 1977. He again became Chief Minister during 1985-87 in Rahu dasa. He left Congress Party in 1996 and formed his own Haryana Vikas Party, won Assembly election and again remained Chief Minister of Haryana during 1996-99. He rejoined Congress in 2004, just before Lok Sabha and State elections, and helped in Congress Victory. His son was made a Minsiter in state, and he remained a force to reckon with in State politics till his death on 28th March, 2006. Lagna lord Sun in Lagna, with 2nd and 11th lord Mercury and 4th and 9th lord Mars forms, an excellent Dhana Yogas. The 10th lord Venus in 2nd house, aspected by Jupiter gave him much wealth. Exalted Rahu in 11th house also gave him wealth from different source. Strong Lagna and Lagna lord, Raja yoga nad Dhana Yogas in the horoscope bestowed high status and abundant wealth to the native. It may be reiterated that while making prediction about extent of prosperity, the native's family, social status and over all strength of the horoscope should always be kept in view, because a person born with strong yogas in a royal family becomes a king, while another one born with similar yogas in other family becomes only rich. The dasa of vavourable planets should come in active years of the natives life to lift him up.